The children's center is where all 40 children live, eat, sleep, and play. For many, it is their longest standing home. For some, it is their only home. In Nepal, education is not considered a right, but a privilege for few and far between. Many families from rural Sarlahi and other impoverished areas are unable to adequately care for their children due to expenses and other responsibilities (such as other children, ailing family members, falling ill themselves, etc.). Nepal Peace Home provides these children who would otherwise be denied an education with a safe, loving home and a private education. The children attend two different schools, both walking distance from the center. Living family members are welcomed and encouraged to visit the children on holidays and at their convenience, but it is often a struggle to make the trek over jagged cliffs and in rolling Jeeps to Sarlahi. 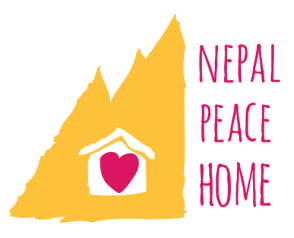 Some children do not have any living relatives, and have been truly adopted by Saroj and the staff members of Nepal Peace Home.